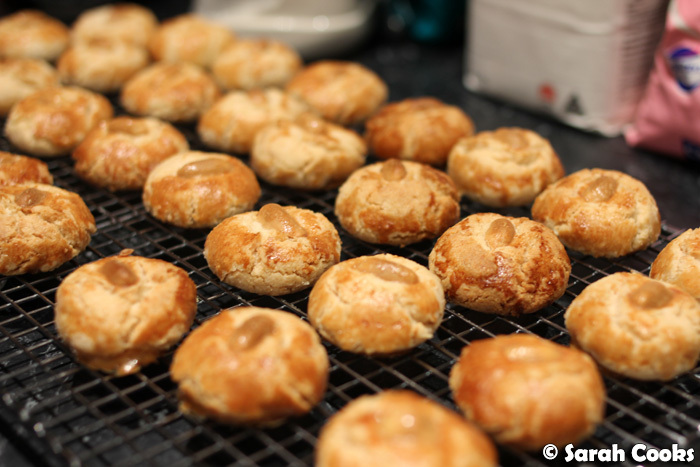 On Monday night this week, I suddenly got into a baking mood and whipped up a batch of Chinese New Year Peanut Cookies. Although I never really need an excuse to make cookies (or eat peanuts! 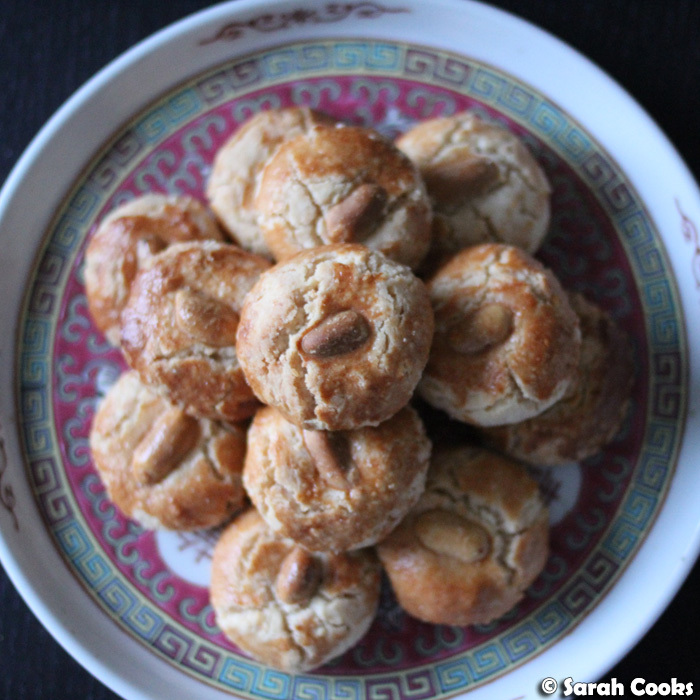 ), it was this stunning picture of blogger Penny's cashew cookies on her Instagram feed that convinced me that, yes, I needed homemade Chinese New Year cookies in my life, and fast! I love these crumbly, powdery, peanut-fragrant and ever-so-slightly salty little morsels so very much! I ended up using a recipe from Bread et Butter, which she in turn got from Quinn's Baking Diary (not sure where Quinn got the recipe from!) 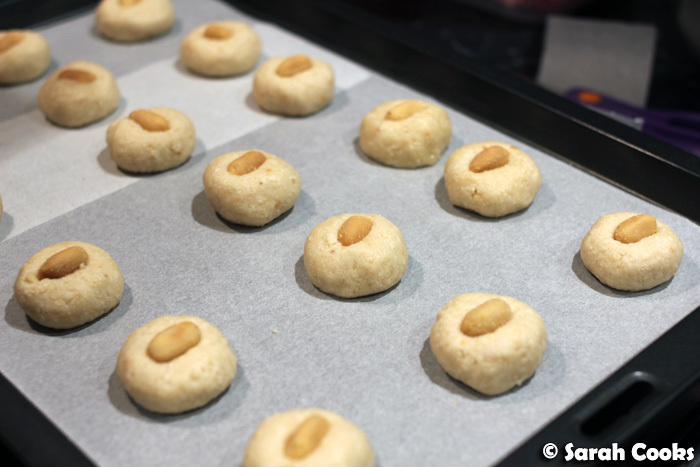 Peanut cookies seem to be pretty ubiquitous though, with each cook having his or her own way of making them. I can't imagine any one person having 'created' the recipe, or having ownership of the idea, if that makes sense. Either way, I adapted Bread et Butter's recipe by changing up the method (processing the peanuts with the sugar prevents them from becoming an oily mess in the processor), and crucially, decorating them with salted peanuts. I also went with tradition, and used lard. I'd originally planned to use peanut oil (and I'm sure just reading those words is enough to send some people into anaphylactic shock! 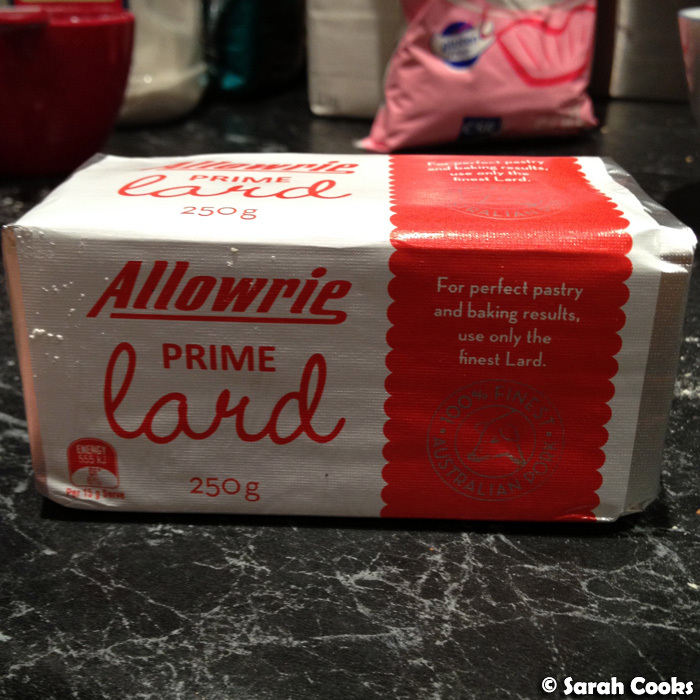 ), but I saw this lard sitting in the fridge with the butter at my supermarket and thought: "Cute packaging, why on earth not?" My weight-conscious, pork-averse teenage self would have never even considered using lard, but I guess times change! I know that even the word "lard" can be confronting, with all its "lard-arse" connotations, but as Nigella elegantly and correctly states in How to be a Domestic Goddess, did you know it's a less saturated fat than butter? I'm not necessarily encouraging greater lard-consumption, just that perhaps there's no need to be quite so alarmed about using it every now and then. Yup, that's some serious white fat there! It softened much faster than butter - by the time I'd driven home from the supermarket it was already ready to use - and yes, it did smell slightly like a roast. (Nothing about the finished product smelled or tasted meaty though, so no need to be concerned in that regard). The whole process is nice and easy - very few ingredients, the dough is all made in the food processor, and I found the dough a dream to work with. It wasn't sticky or messy at all, and rolled into neat little balls very compliantly. Indeed, the longest part of the whole process was roasting the nuts in a frypan before grinding them! Some people just decorate the cookies by making an indentation on the top with a chopstick - I much prefer decorating them with salted peanuts. Firstly, this makes them look like the peanut cookies I enjoyed as a child. And secondly, the salt on the peanuts really takes the biscuits to another level, bringing out all the other flavours. I actually used 2 brands of salted peanuts (one packet ran out halfway through), one saltier than the other, and I found that the biscuits with the saltier salted peanuts tasted much better. Incredible, in fact! They just sang! That saltish tinge (as Malaysians would say) is truly addictive, and makes these biscuits extra special. So, if you can find a super salty salted peanut for your decoration, go with that! "Just had one of your peanut cookies. Amazing. So fresh, so delicate and a perfect balance of sweet and salt... Yummmmy". Yay! I'm 99% confident that this batch of 40 will all be gone before Chinese New Year on Sunday. And on that note, I take no responsibility if you make these and eat the whole batch in one go. It's entirely possible. ENJOY! Roast the peanuts in a dry frying pan or wok, stirring frequently, until fragrant and lightly browned. Tip the peanuts onto a plate to cool slightly. 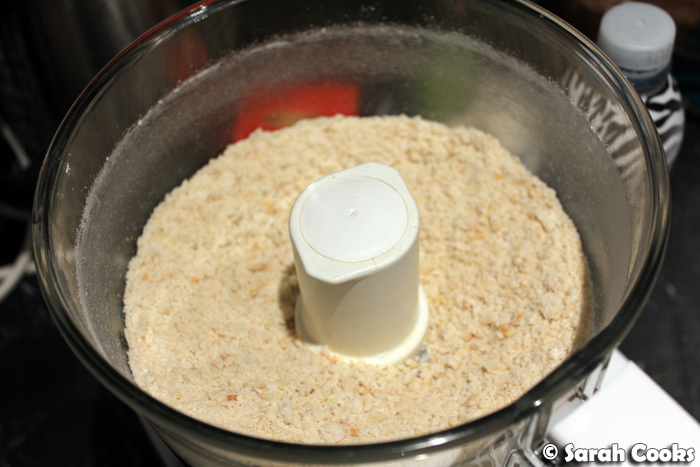 Tip into a food processor fitted with the double blade and add the icing sugar. Whizz up until you have a delicious-smelling peanut powder. Don't make it too fine - you still want some larger peanut chunks remaining. Add the flour and salt and whizz briefly to combine. Roll the dough into small balls (hehe!) and place on the lined baking tray. Press a salted peanut into each ball. Brush the balls with beaten egg to glaze. Bake for 12-15 minutes, or until lightly golden and cooked through. Allow to cool on the tray for 5 minutes before transferring to a wire rack to cool completely. As much as I revel in these little sugary, peanutty, gluten-filled, lard-laced biscuits, I do know that their ingredients do make them inaccessible for many people. So, with y'all in mind, here are a few adaptations I think you could make to suit different dietary requirements. DISCLAIMER! I haven't tried any of these alternatives myself, so can't vouch for how tasty they would be. Think of them as an educated guess, rather than strict guarantees. Vegetarian: Replace the lard 1 cup of butter. Vegan: Replace the lard with 1 cup of vegetable oil, (dare I suggest peanut oil? ); don't glaze the biscuits. Nut allergies: I'm really, really sorry. Perhaps try a plain shortbread recipe for a similar melt-in-your-mouth crumbly biscuit experience. Low fat: No. Just no. Low calorie: Are you kidding me? Looks fantastic! And yeah, CNY is really no time to be watching your calorie intake, haha! Hopefully I make time to bake something for this year. Awesome, I love peanuts! I appreciate your alternative-version notes down the bottom as I'm going to a vegan CNY gathering and I am sorely tempted to make these. We'll see how my other agar experiments go...! Leaf - I look forward to seeing what you come up with! I've been hitting the gym extra hard this week to prepare for the onslaught of food, hehe. Cindy - Oh yay, I hope you like these if you do end up making them!! Another thing I wanted to suggest - if you have vegan condensed milk, maybe try glazing this biscuits with it! I TOTALLY DO HAVE VEGAN CONDENSED MILK IN THE PANTRY RIGHT NOW!! Mmmmm, looks so delicious, and such an easy recipe as well! I'll have to give it a go at some point. Oh you should sell this! 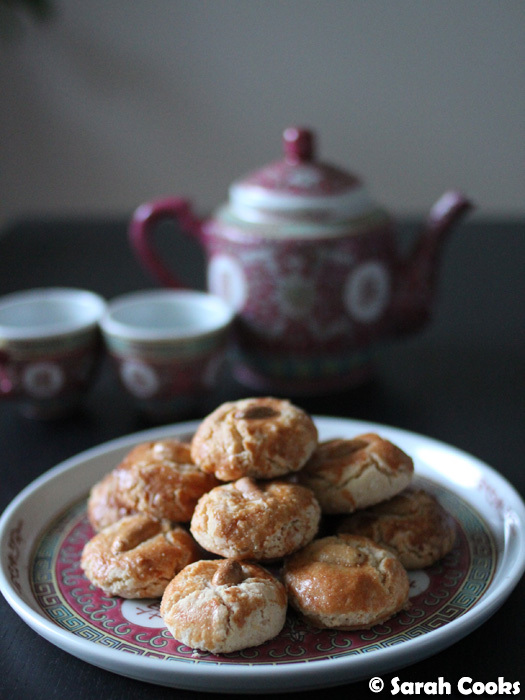 Melbourne is surely missing some freshly baked Chinese biscuits like these -- miss overseas so much! These sound spectacular! 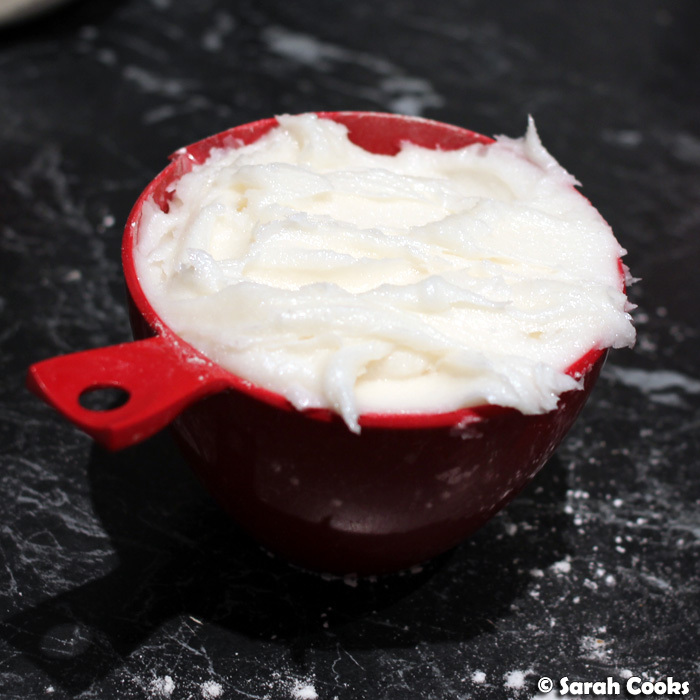 And I don't use lard often, tbh I just can't get past the idea of that white fat that you usually cut off meat but it does produce great results in baking as you've shown! I was so tempted to make peanut cookies after seeing all the recipes in my IG stream. But then I'd have to eat them all. lol! Yours look amazing.